Akil had a great day. 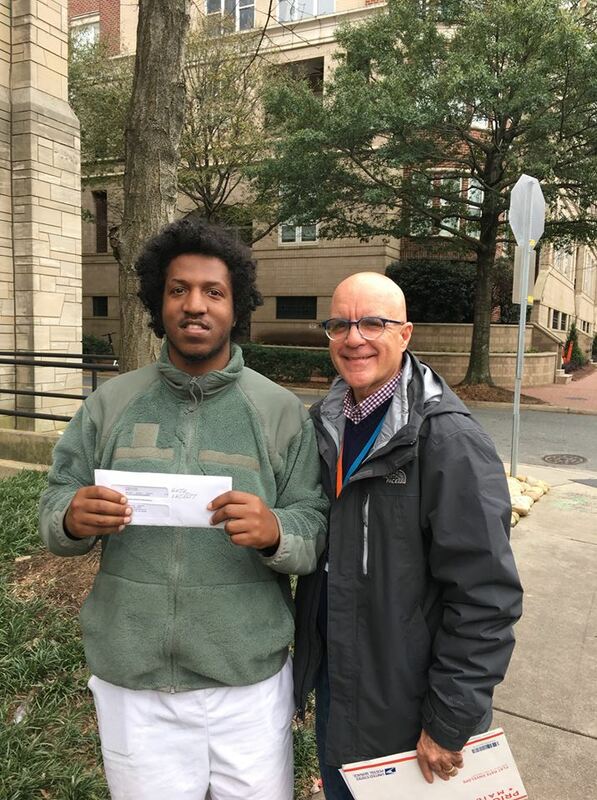 He received his first pay check from a job he connected to through Goodwill Industries of the Southern Piedmont’s Goodwork Staffing program. He took advantage of the shelter’s employment services and rides to Goodwill’s Opportunity Campus. Now Akil is working full time! He is that much closer to housing with this great job. Proudly standing by his side is MSC’s Director of Income, Joe Hamby.